There was no lack of interesting games this round. The round ended with defeat of the leader, favorites losing the games and games ending by tiny margin. Here is the last round review presented by ESL. The most crucial game of the last round was a loss of top-ranked Hindu (17-7) in Santa Fe on Wednesday night. Visitors were edged by third ranked Union SF (14-12) 73-70. It was a great evening for power forward Alejandro Zilli (201-82) who led his team to a victory scoring 11 points, 8 rebounds and 4 assists. 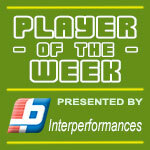 Power forward Sebastian Uranga (200-89) helped adding 12 points, 6 rebounds and 4 assists. Union SF's coach Juan Siemienczuck used a ten-player rotation in such tough game. At the losing side the former international Diego Guaita (204-83) responded with 14 points and 9 rebounds. Union SF maintains third place with 14-12 record having just two points less than leader San Isidro. Hindu at the other side still keeps top position with seven games lost. Union SF are looking forward to face Deportivo Norte (#4) in Armstrong in the next round. Hindu will play at home against the league's second-placed Olimpico and it may be a tough game between close rivals. Eighth-ranked Echague (5-19) gave a tough game to third ranked Villa San Martin (14-8) in Parana. The visitors from Resistencia managed to secure only one-point victory 89-88. However their fans expected much easier game. It was an exceptional evening for guard Franco Vieta (190-92) who led the winners and scored 25 points (on 9-of-10 shooting from the field). Elijah Robinson accounted for 16 points, 7 rebounds and 4 assists. American forward Eric Frederick (203-88, college: Texas Wesleyan) came up with 23 points for Echague in the defeat. Villa San Martin maintains third place with 14-8 record having six points less than leader San Isidro. Echague lost sixth consecutive game. They keep the eighth position with 19 games lost. Villa San Martin will play against Sportivo America (#7) in Rosario in the next round. Echague will play on the road against Deportivo Norte in Armstrong and hopes to get back on the winning track. A very close game took place in La Plata between Petrolero and Gimnasia LP. Sixth ranked Petrolero (10-13) got a very close victory on the road over 8th ranked Gimnasia LP (8-17). Petrolero managed to escape with a 1-point win 76-75 on Wednesday evening. John-A Thomas fired 14 points and 7 rebounds for the winners. Matias Cuello produced 21 points and 8 rebounds for lost side. Gimnasia LP's coach rotated ten players in this game, but that didn't help. Petrolero moved-up to fifth place, which they share with Progreso Roca. Loser Gimnasia LP keeps the eighth position with 17 games lost. Petrolero will meet at home higher ranked Racing Chivilcoy (#3) in the next round and it will be quite challenging to get another victory. Gimnasia LP will play against the league's leader CA Platense (#1) in Florida and hope to secure a win. A very interesting game took place in Santa Fe. It ended with only two-point home defeat of their close opponent Union SF (14-12) to third ranked Villa San Martin (14-8) 85-83 in the game for the third place. Worth to mention a great performance of Guillermo Aliende who helped to win the game recording a double-double by scoring 11 points, 12 rebounds and 6 assists. Union SF's coach Juan Siemienczuck tested ten players, but that didn't help to avoid defeat in this game. Villa San Martin maintains third place with 14-8 record having six points less than leader San Isidro which they share with defeated Union SF. Union SF at the other side keeps the third position with 12 games lost. Villa San Martin's next round opponent will be Sportivo America (#7) in Rosario. Union SF will play at home against Deportivo Norte (#4) and it may be a tough game between close rivals. Important game to mention about took place in General Roca. Third ranked Racing Chivilcoy (14-9) saved a 3-point victory on the road edging 4th placed Progreso (10-13) 89-86 on Thursday evening. It was a great evening for Tyrone OGarro who led his team to a victory with a double-double by scoring 12 points and 16 rebounds. Racing Chivilcoy have an impressive series of five victories in a row. Newly promoted Racing Chivilcoy maintains third place with 14-9 record having five points less than leader San Isidro, which they share with Estudiantes O. Progreso at the other side, also newcomer in the league, dropped to the fifth position with 13 games lost. Racing Chivilcoy will face Petrolero (#5) in Plaza Huincul in the next round. Progreso will play at home against Parque Sur and it may be a tough game between close rivals. There were no shocking results in the rest of the games of round 19: Ameghino lost to Deportivo Norte on the opponent's court 81-98. Tiro Federal unfortunately lost to San Isidro in a home game 79-86. Obera TC recorded a loss to Salta Basket on the road 81-85. Sportivo America was defeated by Ameghino on its own court 72-85. Racing Chivilcoy was beaten by C.Espanol P. in Plottier 81-72. Deportivo Viedma won against Rocamora at home 80-66. Ciclista unfortunately lost to Gimnasia LP on the opponent's court 75-91. Parque Sur managed to beat La Union in a home game 80-76. Deportivo Viedma was defeated by Atenas on the road 94-88. The most impressive stats of the last round was 20 points, 9 rebounds and 6 blocks by Lotanna Nwogbo of ATENAS. The game between closely ranked teams ended with 5th ranked Ameghino's (11-14) road loss to fourth ranked Deportivo Norte (12-12) 81-98 on Thursday. Deportivo Norte made 21-of-24 free shots (87.5 percent) during the game. Deportivo Norte outrebounded Ameghino 38-24 including a 31-18 advantage in defensive rebounds. They looked well-organized offensively handing out 26 assists. Ameghino was plagued by 25 personal fouls down the stretch. It was a great evening for point guard Rodrigo Gallegos (180-91) who led his team to a victory with a double-double by scoring 19 points, 7 rebounds, 14 assists and 5 steals. Guard Lautaro Fraga (184-92) helped adding 17 points and 6 assists. Five Deportivo Norte players scored in double figures. At the losing side forward Abel Aristimuno (195-91) responded with 15 points and 6 assists and power forward Juan-Luis Abeiro (195-88) scored 18 points. Ameghino's coach Pablo Castro let to play twelve players seeing no chance for a win. Deportivo Norte maintains fourth place with 12-12 record. 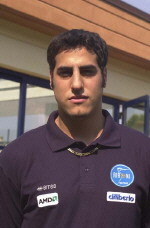 Loser Ameghino keeps the fifth position with 14 games lost. Deportivo Norte will face higher ranked Union SF (#3) in Santa Fe in the next round and it will be quite challenging to get another victory. Eighth-ranked Echague (5-19) gave a tough game to third ranked Villa San Martin (14-8) in Parana. The visitors from Resistencia managed to secure only one-point victory 89-88. However their fans expected much easier game. Villa San Martin dominated down low during the game scoring 62 of its points in the paint compared to Echague's 42. It was an exceptional evening for guard Franco Vieta (190-92) who led the winners and scored 25 points (on 9-of-10 shooting from the field). American swingman Elijah Robinson (196-95, college: Emmanuel, GA) accounted for 16 points, 7 rebounds and 4 assists for the winning side. Robinson is a former Eurobasket Summer League player, which is considered top international summer league in the market. American forward Eric Frederick (203-88, college: Texas Wesleyan) came up with 23 points and Alexis Knecht (183-87) added 21 points respectively for Echague in the defeat. Four Villa San Martin and five Echague players scored in double figures. Villa San Martin maintains third place with 14-8 record having six points less than leader San Isidro. Echague lost sixth consecutive game. They keep the eighth position with 19 games lost. Villa San Martin will play against Sportivo America (#7) in Rosario in the next round. Echague will play on the road against Deportivo Norte in Armstrong and hopes to get back on the winning track. Very predictable result in Morteros where first ranked San Isidro (18-4) defeated 6th ranked Tiro Federal (7-17) 86-79 on Friday. San Isidro shot the lights out from three sinking 12 long-distance shots on high 66.7 percentage. It was a great evening for point guard Juan-Ignacio Rodriguez-Suppi (178-91) who led his team to a victory scoring 20 points and 4 assists. Center Santiago Gonzalez (203-83) helped adding 12 points and 8 rebounds. At the losing side power forward Luis Arganaraz (202-86) responded with 15 points and 9 rebounds and Leonardo Strack (188-93) scored 17 points. Both teams had four players each who scored in double figures. San Isidro have a solid series of four victories in a row. They maintain first place with 18-4 record. Tiro Federal lost third consecutive game. They keep the sixth position with 17 games lost. San Isidro will face Salta Basket (#4) at home in the next round. Tiro Federal will play against Independiente and it may be a tough game between close rivals. Not a big story in a game when 6th ranked Obera TC (5-17) was defeated on the road by fourth ranked Salta Basket (12-10) 85-81 on Wednesday. Salta Basket made 20-of-22 free shots (90.9 percent) during the game. They looked well-organized offensively handing out 21 assists. It was a great evening for American Scott Cutley (196-85, college: CS Fullerton) who led his team to a victory with a double-double by scoring 19 points, 11 rebounds, 8 assists and 4 steals. Swingman Gregorio Eseverri (194-86) helped adding 15 points and 6 rebounds. Cutley is a former Eurobasket Summer League player, which is considered top summer league for players who want to play basketball overseas. At the losing side naturalized Spanish swingman Maximiliano Martin (189-90) responded with a double-double by scoring 10 points, 10 rebounds and 7 assists and guard Christian Schoppler (185-86) scored 15 points, 5 assists and 4 steals. Both teams had four players each who scored in double figures. Salta Basket maintains fourth place with 12-10 record. Obera TC lost fifth consecutive game. They keep the sixth position with 17 games lost. Salta Basket will face league's leader San Isidro in San Francisco in the next round and it will be quite challenging to get another victory. Obera TC will play at home against the league's second-placed Olimpico (#2) and hope to win that game. Everything went according to plan in Rosario where fifth ranked Ameghino (11-14) beat 7th ranked Sportivo America (6-18) 85-72 on Saturday. It was a great evening for power forward Juan-Luis Abeiro (195-88) who led his team to a victory with a double-double by scoring 21 points and 13 rebounds. Forward Donovan Johnson (201-92, college: Ky Wesleyan) helped adding 19 points and 6 rebounds. At the losing side forward Andres Meinero (197-96) responded with 15 points and 7 rebounds and guard Nicolas Dominguez (187-0) scored 10 points and 8 assists. Four Sportivo America players scored in double figures. Both coaches used bench players which allowed the starters a little rest for the next games. Ameghino maintains fifth place with 11-14 record. Newly promoted Sportivo America keeps the seventh position with 18 games lost. Ameghino will have a break next round. Sportivo America will play on the road against Villa San Martin (#3) in Resistencia and hope to win that game. A very interesting game took place in Santa Fe. It ended with only two-point home defeat of their close opponent Union SF (14-12) to third ranked Villa San Martin (14-8) 85-83 in the game for the third place. Villa San Martin made 26-of-28 charity shots (92.9 percent) during the game. Worth to mention a great performance of point guard Guillermo Aliende (178-97) who helped to win the game recording a double-double by scoring 11 points, 12 rebounds and 6 assists. American swingman Elijah Robinson (196-95, college: Emmanuel, GA) contributed with 16 points and 9 rebounds (made all of his ten free throws !!!) for the winners. Robinson is a former Eurobasket Summer League player, which is considered top international summer league in the market. Gaston Marozzi (196-95) answered with 25 points and 6 rebounds and Matias Aristu (194-95) added 19 points in the effort for Union SF. Five Villa San Martin and four Union SF players scored in double figures. Union SF's coach Juan Siemienczuck tested ten players, but that didn't help to avoid defeat in this game. Villa San Martin maintains third place with 14-8 record having six points less than leader San Isidro which they share with defeated Union SF. Union SF at the other side keeps the third position with 12 games lost. Villa San Martin's next round opponent will be Sportivo America (#7) in Rosario. Union SF will play at home against Deportivo Norte (#4) and it may be a tough game between close rivals. The most crucial game of the last round was a loss of top-ranked Hindu (17-7) in Santa Fe on Wednesday night. Visitors were edged by third ranked Union SF (14-12) 73-70. It was a great evening for power forward Alejandro Zilli (201-82) who led his team to a victory scoring 11 points, 8 rebounds and 4 assists. Power forward Sebastian Uranga (200-89) helped adding 12 points, 6 rebounds and 4 assists. Union SF's coach Juan Siemienczuck used a ten-player rotation in such tough game. At the losing side the former international Diego Guaita (204-83) responded with 14 points and 9 rebounds and swingman Jose Montero (193-95) scored 11 points and 5 rebounds. Union SF maintains third place with 14-12 record having just two points less than leader San Isidro. Hindu at the other side still keeps top position with seven games lost. Union SF are looking forward to face Deportivo Norte (#4) in Armstrong in the next round. Hindu will play at home against the league's second-placed Olimpico and it may be a tough game between close rivals. We cannot really consider it an upset in the game between close teams in Plottier where 3rd placed Racing Chivilcoy (14-9) was defeated by fourth ranked C.Espanol P. (12-14) 81-72 on Saturday. It was a great evening for Francisco Gonzalez (190-94) who led his team to a victory scoring 25 points and 7 rebounds. American Howard Wilkerson (198-84, college: Wofford) helped adding 16 points and 5 rebounds. C.Espanol P.'s coach Mauricio Santangelo allowed to play the deep bench players saving starting five for next games. At the losing side American forward Tyrone OGarro (198-94, college: Fair Dickinson) responded with 16 points and 6 rebounds (made all of his ten free throws !!!) and point guard Alejo Barrales (175-91) scored 10 points, 5 rebounds and 5 assists. Five Racing Chivilcoy players scored in double figures. C.Espanol P. moved-up to third place which they share with defeated Racing Chivilcoy. Newly promoted Racing Chivilcoy keeps the third position with nine games lost. C.Espanol P. will face Parque Sur (#5) in Concepcion de Urug. in the next round. Racing Chivilcoy will play on the road against Petrolero in Plaza Huincul and it may be a tough game between close rivals. Important game to mention about took place in General Roca. Third ranked Racing Chivilcoy (14-9) saved a 3-point victory on the road edging 4th placed Progreso (10-13) 89-86 on Thursday evening. Racing Chivilcoy made 26-of-33 free shots (78.8 percent) during the game. It was a great evening for American forward Tyrone OGarro (198-94, college: Fair Dickinson) who led his team to a victory with a double-double by scoring 12 points and 16 rebounds. Guard Erbel De-Pietro (183-88) helped adding 17 points. At the losing side point guard Adriano Maretto (184-99) responded with 19 points and 5 rebounds and power forward Facundo Brizuela (203-80) scored 17 points. Both teams had four players each who scored in double figures. Racing Chivilcoy have an impressive series of five victories in a row. Newly promoted Racing Chivilcoy maintains third place with 14-9 record having five points less than leader San Isidro, which they share with Estudiantes O. Progreso at the other side, also newcomer in the league, dropped to the fifth position with 13 games lost. Racing Chivilcoy will face Petrolero (#5) in Plaza Huincul in the next round. Progreso will play at home against Parque Sur and it may be a tough game between close rivals. The game between closely ranked teams ended with first ranked Deportivo Viedma's (16-10) home victory over their biggest opponent Rocamora (15-10) 80-66 on Thursday. It was a key game for the top position in the league. Deportivo Viedma outrebounded Rocamora 37-26 including 28 on the defensive glass. Rocamora was plagued by 25 personal fouls down the stretch. It was a great evening for Lucas Gonzalez (198-94) who led his team to a victory with a double-double by scoring 15 points and 11 rebounds. American-Panamanian guard CJ Rodriguez (188-94, college: S.Nazarene) helped adding 14 points and 6 rebounds. Four Deportivo Viedma players scored in double figures. At the losing side American swingman Dominique Shaw (193-95, college: William Penn) responded with 20 points and Manuel Olocco (198-88) scored 17 points and 7 rebounds. Deportivo Viedma maintains first place with 16-10 record. Rocamora lost their third game in a row. They keep the second position with ten games lost. Both teams do not play next round, which will be an opportunity for some rest. A very close game took place in La Plata between Petrolero and Gimnasia LP. Sixth ranked Petrolero (10-13) got a very close victory on the road over 8th ranked Gimnasia LP (8-17). Petrolero managed to escape with a 1-point win 76-75 on Wednesday evening. Strangely Gimnasia LP outrebounded Petrolero 40-25 including a 31-18 advantage in defensive rebounds. American John-A Thomas (198-82, college: Columbus St.) fired 14 points and 7 rebounds for the winners. 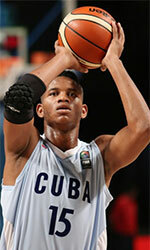 Naturalized Dominican forward Xavier Carreras (198-94) chipped in 17 points. Forward Matias Cuello (196-91) produced 21 points and 8 rebounds and point guard Leonardo La-Bella (184-86) added 15 points, 5 rebounds and 8 assists respectively for lost side. Both teams had four players each who scored in double figures. Gimnasia LP's coach rotated ten players in this game, but that didn't help. Petrolero moved-up to fifth place, which they share with Progreso Roca. Loser Gimnasia LP keeps the eighth position with 17 games lost. Petrolero will meet at home higher ranked Racing Chivilcoy (#3) in the next round and it will be quite challenging to get another victory. Gimnasia LP will play against the league's leader CA Platense (#1) in Florida and hope to secure a win. There was a minor upset in La Plata where 6th ranked Ciclista (9-13) was defeated by eighth ranked Gimnasia LP (8-17) 91-75 on Saturday. Gimnasia LP outrebounded Ciclista 36-25 including 30 on the defensive glass. It was a great evening for American forward DelVin Dickerson (198-93, college: N.C.Central) who led his team to a victory scoring 31 points. Power forward Agustin Zuvich (201-95) helped adding 13 points and 12 rebounds. At the losing side Maximiliano Rios (182-81) responded with 14 points and 6 assists and Franco Lombardi (187-98) scored 18 points (on 7-of-9 shooting from the field). Four Ciclista players scored in double figures. Both coaches used bench players which allowed the starters a little rest for the next games. Gimnasia LP maintains eighth place with 8-17 record. Ciclista lost their fourth game in a row. They keep the sixth position with 13 games lost. Gimnasia LP will face league's leader CA Platense in Florida in the next round and it will be quite challenging to get another victory. The game between closely ranked teams ended with sixth ranked Parque Sur's (10-14) home victory over 7th ranked La Union (9-16) 80-76 on Thursday. La Union was plagued by 30 personal fouls down the stretch. It was a great evening for swingman Gaston Sieiro (191-85) who led his team to a victory scoring 18 points and 6 assists. Point guard Agustin Richard (176-90) helped adding 19 points and 4 assists. At the losing side American Trevon Young (198-95, college: Eckerd) responded with a double-double by scoring 23 points and 17 rebounds and swingman Luciano Silva (190-96) scored 18 points. Four La Union players scored in double figures. La Union's coach Marcelo Macias let to play ten players, but that didn't help to avoid defeat in this game. Parque Sur moved-up to fifth place. Loser La Union keeps the seventh position with 16 games lost. Parque Sur will face Progreso (#6) in General Roca in the next round. There was a minor upset in Carmen de Patagones where leader Deportivo Viedma (16-10) was defeated by fourth ranked Atenas (11-13) 94-88 on Saturday. Atenas made 32-of-38 free shots (84.2 percent) during the game. Great defensive blocking was one of the keys in this match when Atenas made 9 blocks. Deportivo Viedma was plagued by 29 personal fouls down the stretch. It was a great evening for Nigerian-American power forward Lotanna Nwogbo (203-93, college: Longwood) who led his team to a victory scoring 20 points, 9 rebounds and 6 blocks. Swingman Emiliano Agostino (192-84) helped adding 20 points. Five Atenas players scored in double figures. Atenas' coach Carlos Romano allowed to play the deep bench players saving starting five for next games. At the losing side American Kenny Jones (198-84, college: Kentucky St.) responded with 27 points and 8 rebounds and Matias Eidintas (185-95) scored 16 points and 7 rebounds (on 7-of-9 shooting from the field). The victory was the third consecutive win for Atenas. They maintain fourth place with 11-13 record. Loser Deportivo Viedma still keeps top position with ten games lost. Atenas will face Ciclista (#6) in Juninense in the next round.